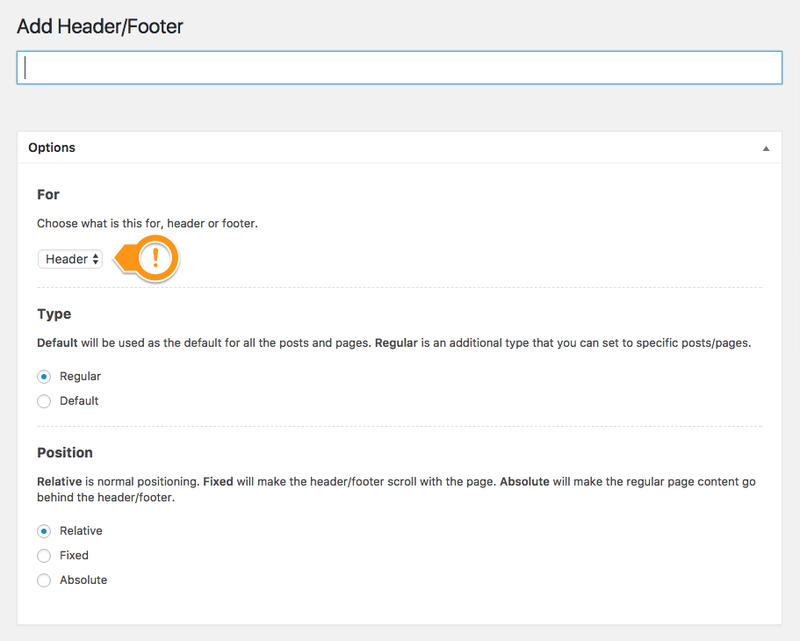 Go to WP Admin > Appearance > Headers/Footers and create a new header or footer. Regular - With this option you can create as many headers you need. On the pages editor, you have a selector from where you can load this regular header. 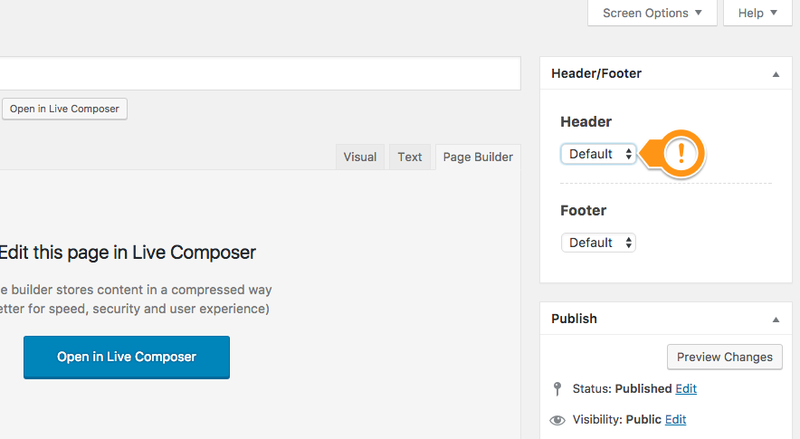 Default - If a header/footer will have this feature, it be loaded by default on your theme. No further selection action needed. Select the header position. The "Fixed" position will set the header in a fixed position. If need to make the header sticky, please read this article. If you are using a different theme then the ones we provide, in your custom/current theme, you can activate the header/footer feature using very simple PHP code: Custom header/footer functionality in your theme.